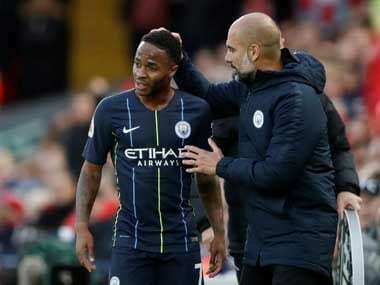 Manchester: Manchester City manager Pep Guardiola has hailed Raheem Sterling's decision to buy 550 tickets for his side's FA Cup semi-final against Brighton for pupils of his former school as an "incredible gesture." Sterling grew up in the shadow of the old Wembley, having moved to England from Jamaica at the age of five. "I grew up right next door to the stadium and would dream of one day playing in a cup final or even representing my country there. To now be able to play there myself is an honour and this is a great opportunity to give back to the community that helped me get to where I am," said Sterling. The England international has become a key figure not only on the field for club and country, but an increasingly prominent campaigner against racism. Sterling was allegedly targeted by racist abuse earlier in the season at Chelsea and also spoke out as England players suffered more disturbing scenes in Montenegro last month. "It is an incredible gesture. This kind of gesture makes a better society for everyone. Football players are human beings, we live all together and this kind of gestures dignify who he is," Guardiola told reporters on Friday. Sterling's England teammate Danny Rose admitted this week he cannot wait to retire given the lack of leadership from the football authorities in the drive to weed out racist abuse. 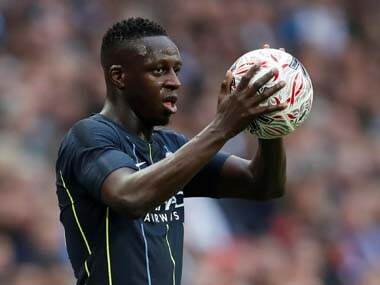 However, Guardiola, whose side face Rose's Tottenham in the first leg of their Champions League quarter-final tie next week, encouraged the left-back to stand up and continue the fight against discrimination. "Danny Rose has not to do that (retire). Next Tuesday, if I see him, I will tell him the best way to fight, (to) combat this kind of terrible situation is fighting, being here every day. And of course, because he is an extraordinary football player," said Guardiola. 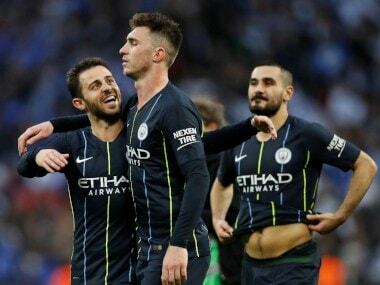 City will stay in London between the FA Cup semi-final and the trip to Tottenham's new stadium in midweek, with Guardiola keen to avoid unnecessary travelling time. 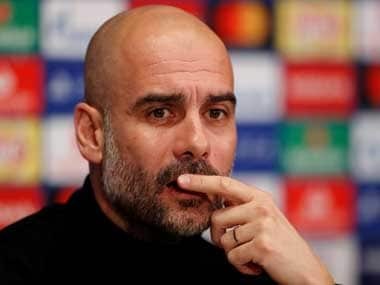 Sergio Aguero will travel south with his teammates on Friday but Guardiola is unsure whether he will be fit to face Brighton. "He is almost fit," added the Catalan coach.